The 11th Fancourt Heritage Classic Golf Tournament will take place from Friday 20 to Monday 23 September, with a long weekend of golfing one of South Africa’s premier golf and leisure destinations. Every year golfers from across the country travel to George to participate in this tournament that pays tribute to South Africa’s heritage through the unifying means of sport, with a round of social functions adding glamour to the occasion. 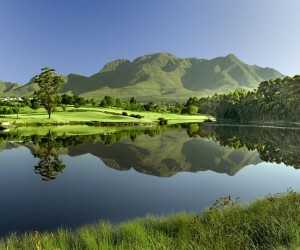 It’s also an opportunity to play a round of golf at three of the country’s finest golf courses, The Links, Outeniqua and Montagu in the heart of what is widely regarded as the country’s golfing mecca. For participants in the three-day tournament a 3-night package at Fancourt has been created especially for this event. From just R5925 per person sharing, the package includes three nights’ accommodation at the Fancourt Resort Hotel and an English breakfast each morning, as well as a tournament round on each of the three golf courses. For non-golfers, there’s a complimentary Spa voucher to the value of R1 350 to spend at their leisure at the Spa. A seat at the traditional ‘Welcome Braai’ and the ‘Prize-giving Gala Dinner’ with comedian and MC Loyisa Gola rounds off the Fancourt Heritage Classic experience.